Good evening! 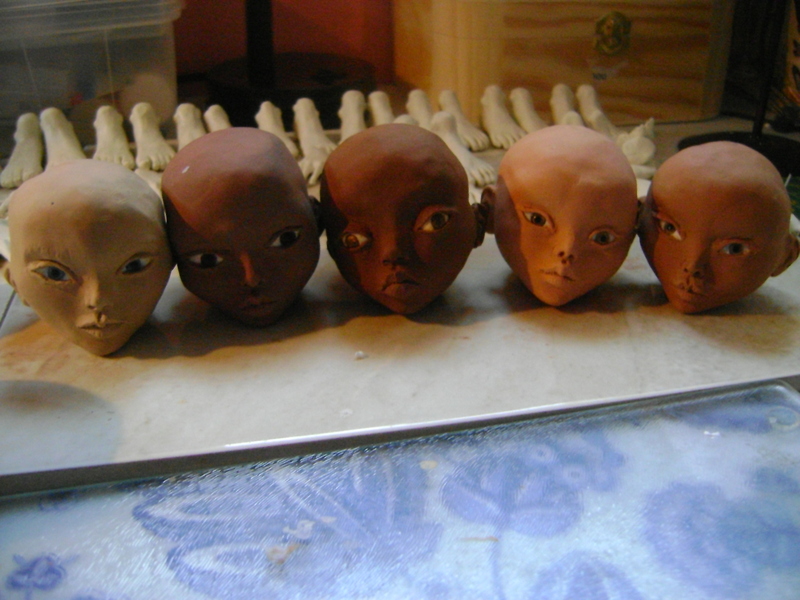 It feels so good to be back and posting on dolls again! 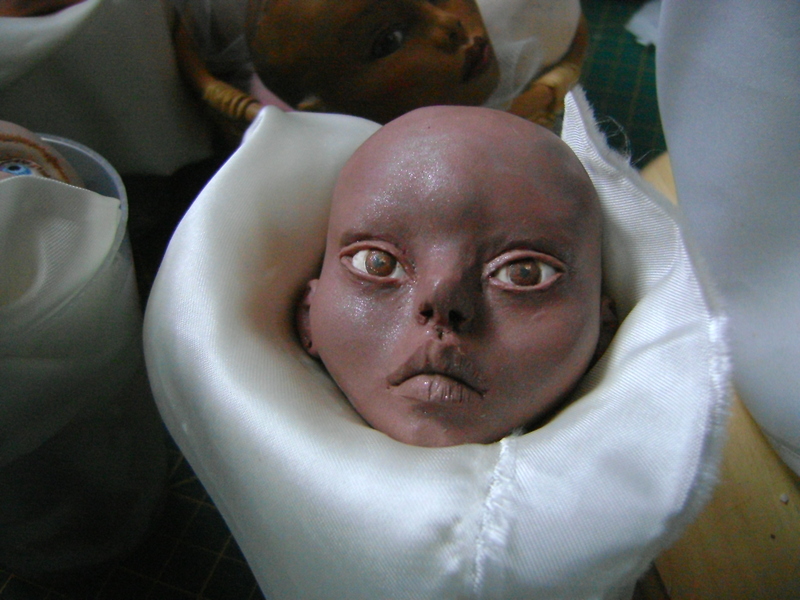 A few days ago, in one of my posts, I mentioned that two dolls created in 2015, haven’t yet been shown! 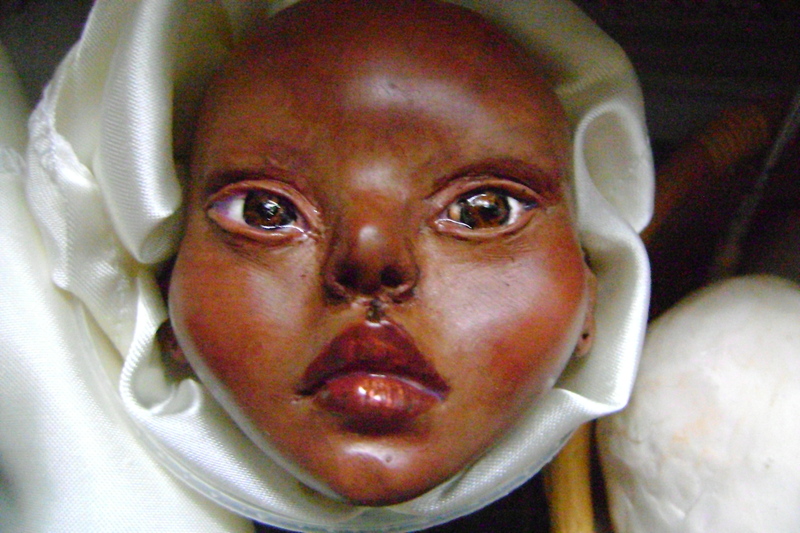 I was totally short in time, with my day job, going to college, testing polymer clay, improving a few Technics in my doll making and the list still goes on… Now, let’s talk about this one, Haulani, a big doll, stands 19 ½ inches tall (50 cm). 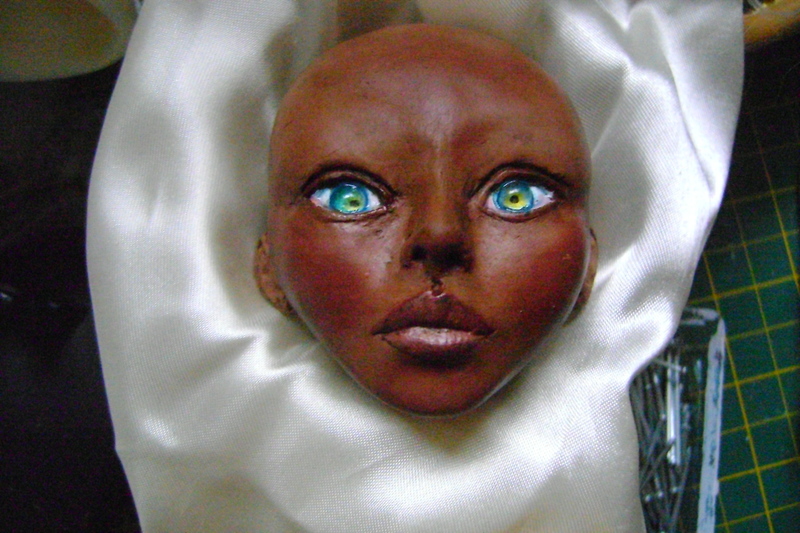 She’s entirely made in Living doll polymer clay and her eyes are handmade by me in Swarovsky crystal cabochons, just like the ones that I previously made for a few dolls. 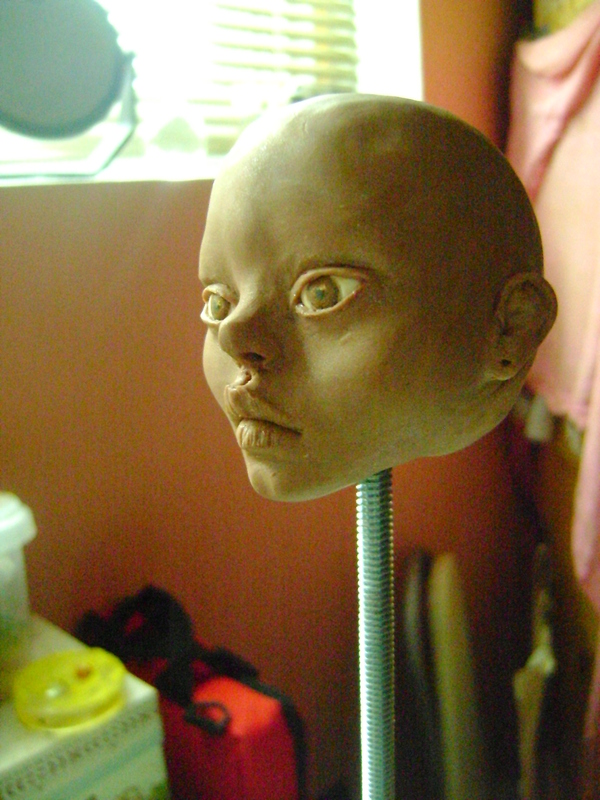 She was not easy to sculpt, since her height and weight did not help. 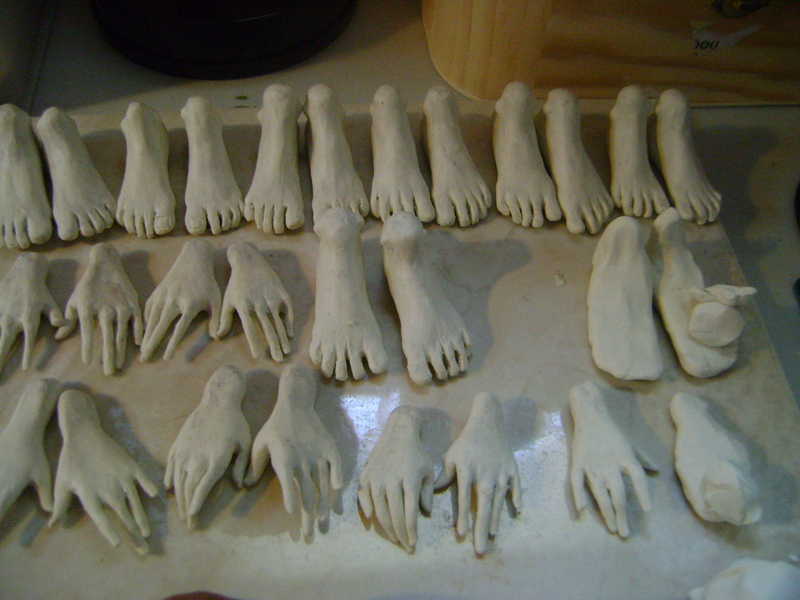 In fact, during the process of curing her, I had to make sure her under armature made with Fimo Classic was sturdy! 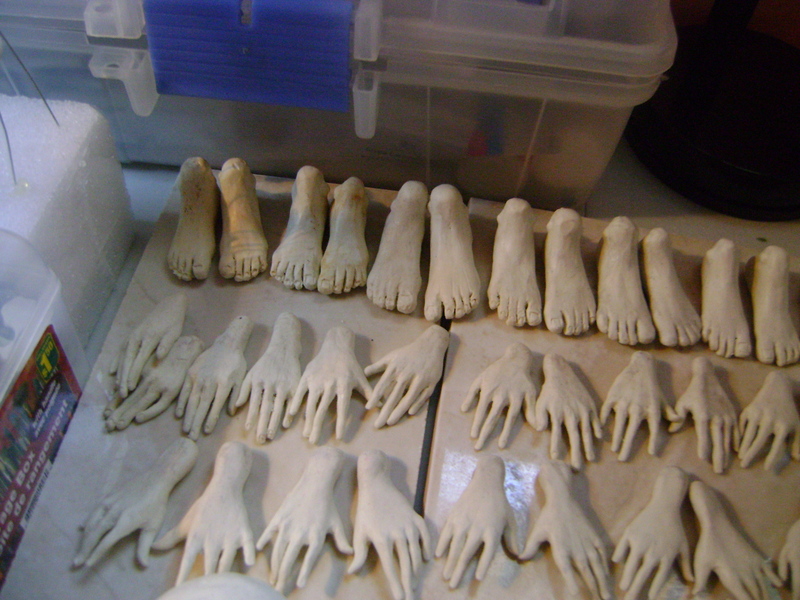 Because of multiple cracks, due to the clay, she took me almost 5 weeks to complete! 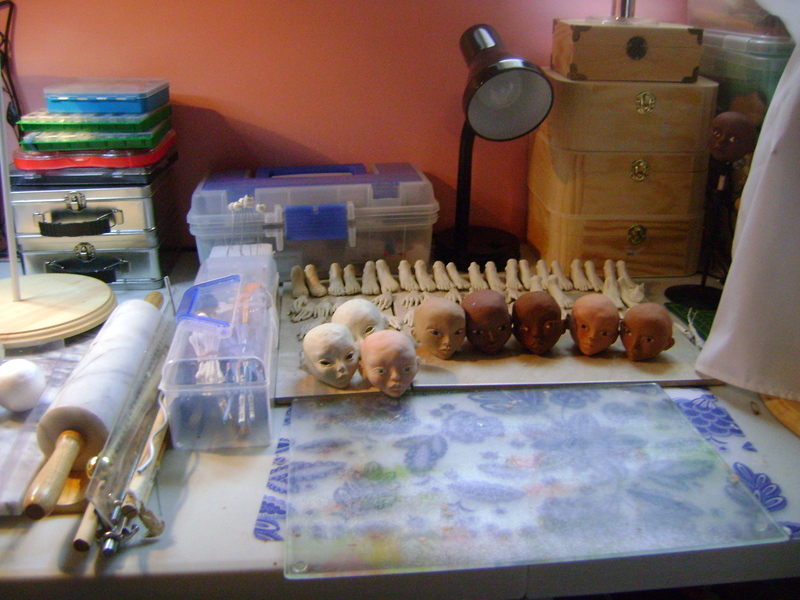 I did not want to loose any clay, since a few of them are expensive to buy and let me say it, I simply do not like waste! 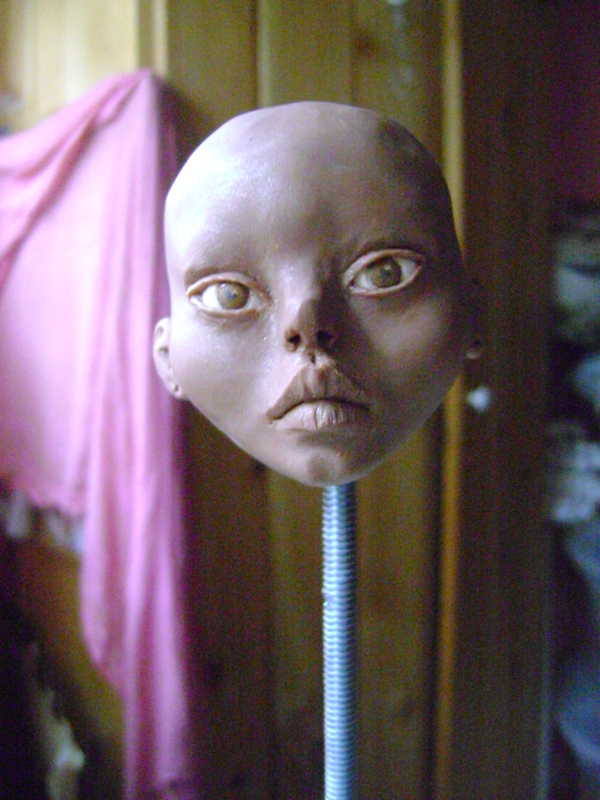 After she cooled down, although she had few cracks, Haulani’s skin color turned out lovely! 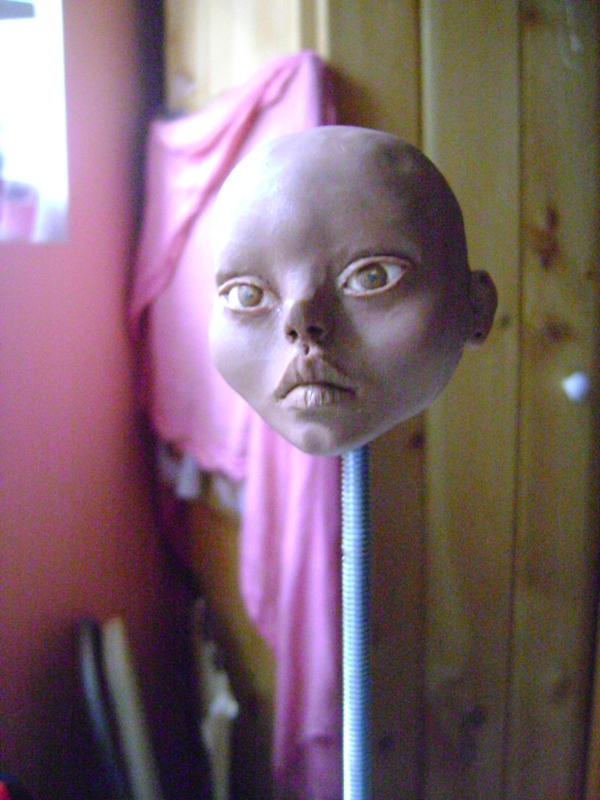 I will continue with more photos of her tomorrow! Thanks/Merci! Hello everyone! I would like to give a huge thanks to all the new LIKES (245 actually) on Atelier Miss Georgia’s Facebook page! 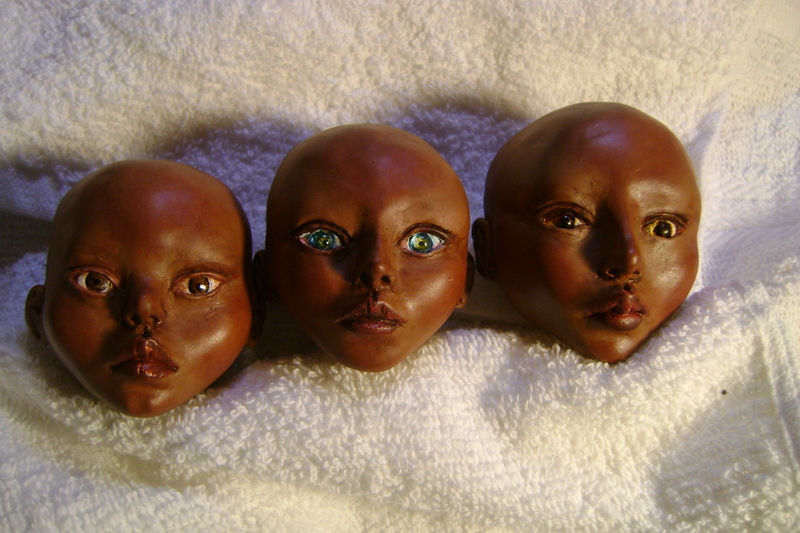 It gives me great hopes with my dolls! Now, may I present you Samynah and Filsan painted. I know, they look a bit different from previous pictures, but acrylic paints can be tricky: they dry very quickly and you must work fast, otherwise, no matter the results, they stays forever. And yes, I learned my lesson. Good evening! 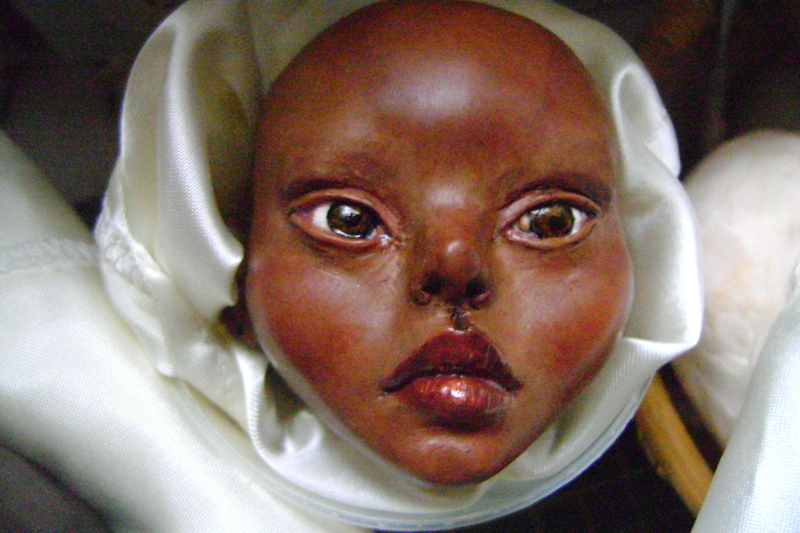 Yesterday, I presented my very first doll head from the year 2013, Samynah. 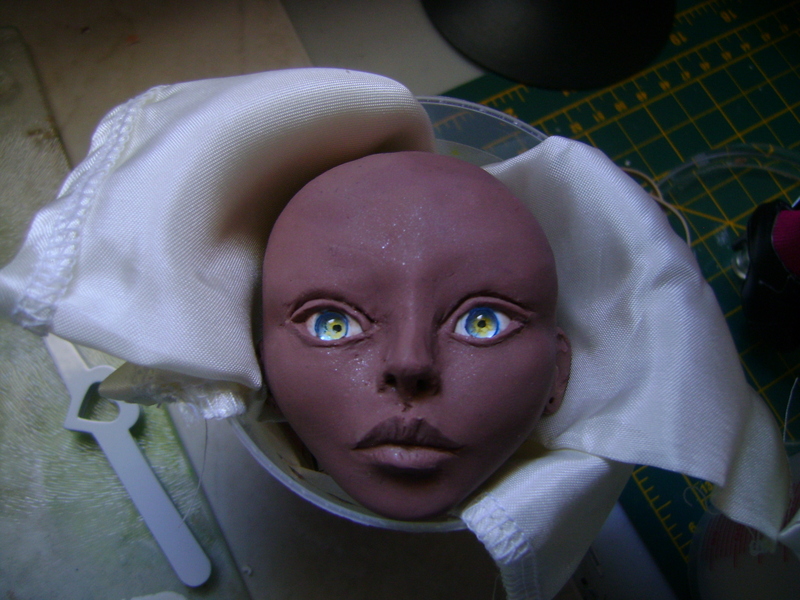 She was made in in late January of that year and created in Living Doll (Terracotta), Fimo Classic (chocolate) and Premo (Frost). 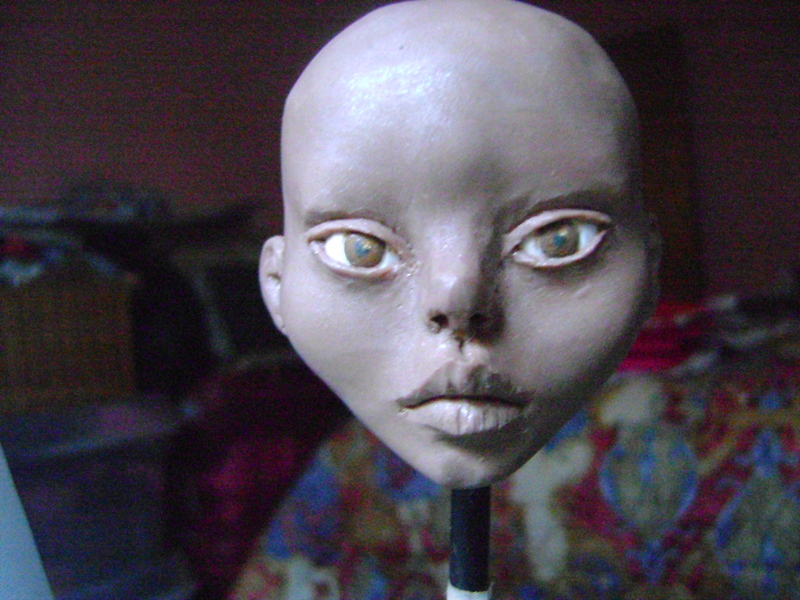 It took me 10 hours to sculpted her… in fact, I sculpted her head over and over again…well 5 times! I was simply unhappy with the first three results. At first, she looked like a small child and all I wanted was a beautiful young lady from eastern Africa: Ethiopia, Tanzania and Somalia. 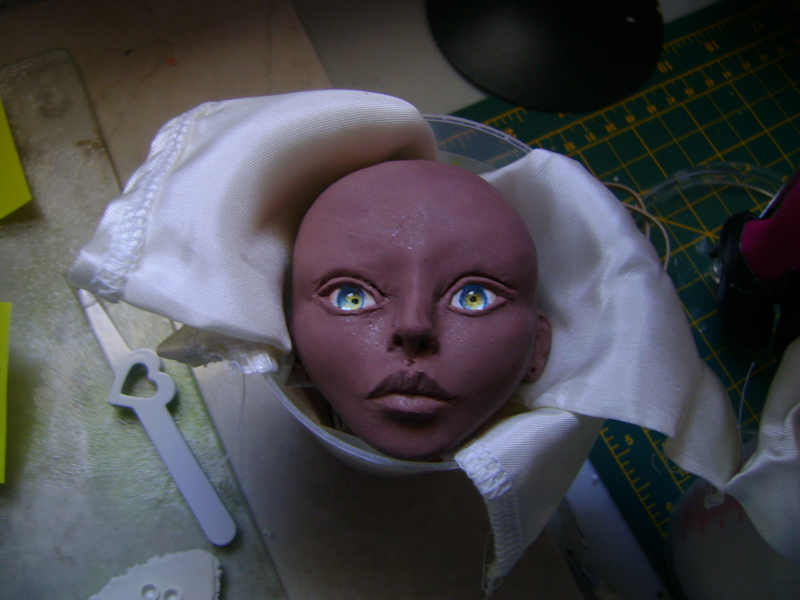 More photos of her painted will be presented tomorrow. Stay in touch. Good evening! 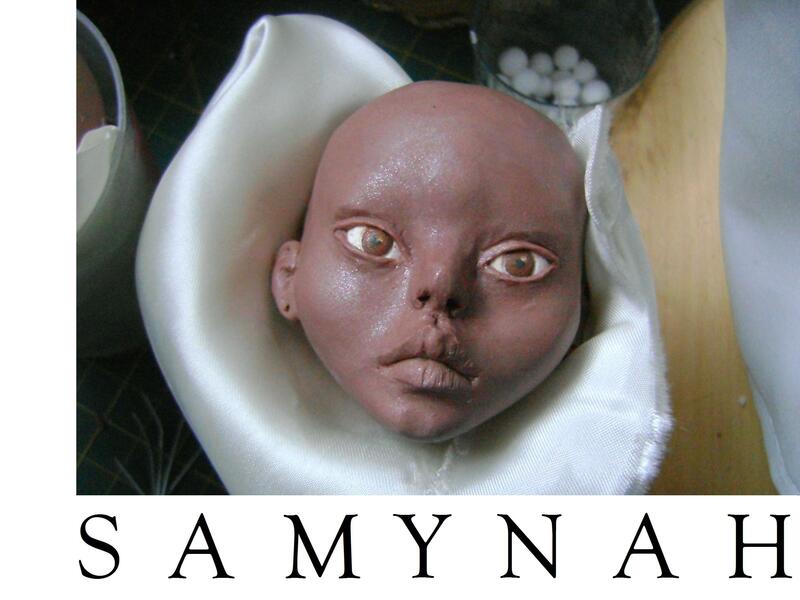 Tomorrow, I will present Samynah, my first doll head from the year 2013.